Celebrate Valentine’s Day with a farm-to-fork experience and wines from NorCal’s hidden wine country. 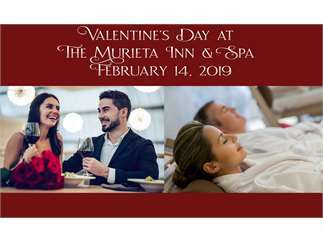 The Murieta Inn and Spa welcomes you to a winemaker dinner featuring Uphill Vineyards and a four-course meal from 6 to 8 p.m. The Gate, a true farm-to-fork restaurant that sources produce from their own farm located on property, will also offer a special A La Carte dinner menu 5 p.m. - close. Please call The Gate for reservations at (916) 354-3900 – there is limited seating so be sure to reserve your seats!